Jacob Coxey was recently featured on the Travel Channel's episode of "Mysteries at the Museum" (Season 8 Episode 2, "Fallen Robins, Romeo Spies, All In For Poker"). Click here to read more! Jacob S. Coxey is an important part of not only Massillon history, but our national history as well. He had numerous ideas on politics and financial issues, many of which were ahead of his time. His ideas, along with others who shared his beliefs, would lead to the first march on Washington, D.C. He spent his life dedicated to his businesses, some successful others not, and to politics, in which he ran for many political offices. Jacob Coxey was born April 16, 1854 in Selinsgrove, PA and raised in Danville, PA. His father worked in an iron rolling mill, and at age 16 Jacob began to work as a water boy at the mill. By the age of 24 he had worked his way up to a stationary engineer. Eventually he began working for his uncle’s scrap metal firm, and in 1881 his work brought him to Massillon, Ohio to purchase metal. He liked Ohio and returned a month later to buy a farm and a small sandstone quarry, which he turned into a crushing mill. 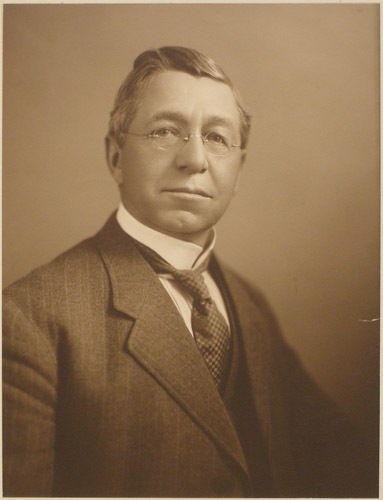 Throughout his life, Coxey had spent a lot of time reading and thinking about politics, interest rates, paper money, bank credit, and the “money question.” In 1891 his idea for creating a program for better roads originated when he was driving home in Massillon and the roads were so bad. He determined that the federal government had the funds to fix the roads and there were plenty of unemployed men that could do the work. In 1892 he proposed the Good Roads Bill to congress combined with his highway proposal; unfortunately it did not go further than being proposed. In 1893 Coxey met Carl Brown at Chicago’s World Fair. They both held similar beliefs on monetary reform and Browne had the same energy to pursue their ideas. In 1894 Coxey proposed a companion bill, the Non-Interest Bearing Bond Bill and Brown obtained the endorsement of American Federation of Labor, founded the J.S. Coxey Good Roads Association of the United States, and persuaded Kansas Senator William A. Peffer to introduce the bills to congress. To raise awareness and support for the bills, Browne and Coxey organized a march of unemployed men to Washington, D.C. From Massillon, 86 marchers and 42 reporters left for the march on Easter Sunday, March 25, 1894, the “Army of the Commonweal” left from West Virginia. The Coxey family traveled in open horse drawn carriages and “Coxey’s Army” marched on foot across Ohio, Pennsylvania, and Maryland except for the stretch they rode on Chesapeake and Ohio Canal. As the “Army” approached the Capitol building they had grown to 4,000 people, where they met 12,000 more marchers at the capitol. As they prepared to speak to the crowd, Coxey, Browne and the third leader Christopher Columbus Jones were arrested for trampling the Capitol lawn. Coxey managed to give his speech to a reporter who then printed his words for the nation to read. The U.S. Marshals had never faced a similar situation and were afraid of the new demonstration march idea. Although the leaders were arrested and the impact of the march was mitigated, it is still significant as the nation’s first protest march. While in jail, Coxey was nominated for the Ohio 18th district congressional seat by the People’s Party, which he lost. 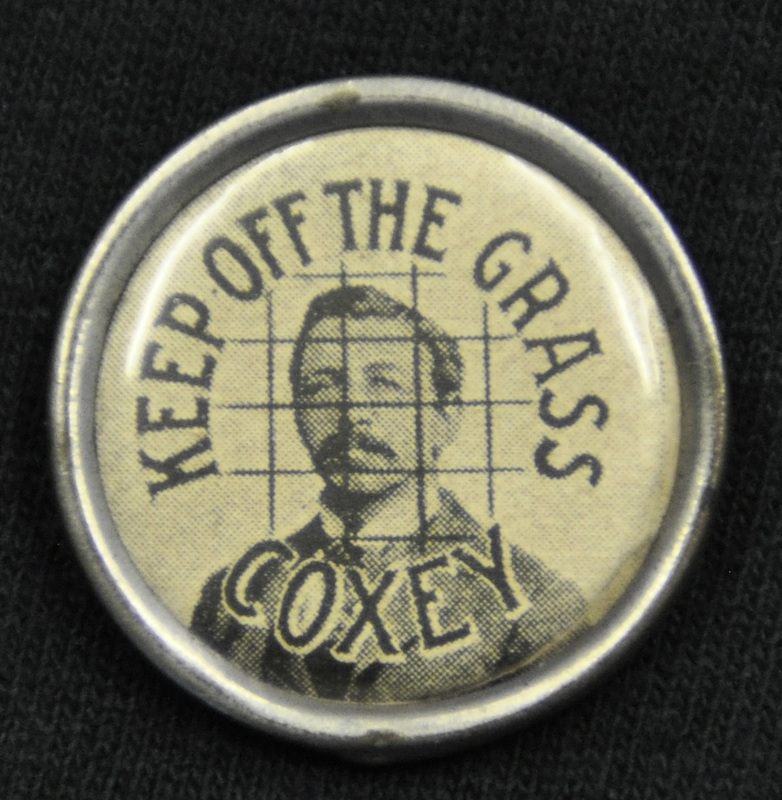 Throughout the rest of his life Coxey was politically active and ran for several offices. In 1895 and 1897 he ran, unsuccessfully for Ohio Governor. In 1913 the Federal Reserve Act prompted Coxey to call for a 2nd march on the capitol to promote his “money-at-cost” plan, but in 1914 the march fizzled just outside Ohio. In 1916 he ran, again unsuccessfully, for Senate. In 1928 and 1930 he sought election to congress, but failed. At the age of 77, in 1931, Coxey was elected mayor of Massillon and served for 2 years. During his term he ran for U.S. President on the Farm Labor ticket. In 1934 he ran unsuccessfully for U.S. Senate, and in his last attempt to obtain a position, in 1936 he ran for President, again unsuccessful. While he was Mayor of Massillon, he gave permission for the communist party to meet in Massillon City Hall on July 17, 1932. This event became a disaster when the delegates began collapsing in pain and vomiting profusely. Ambulances and people with cars rushed the ailing individuals to Massillon City Hospital where the corridors were lined with sick communists, and 50-75 people were on the lawn waiting until they could be treated. Throughout his political career, he supported himself with his two inventions, one being “Coxey-Lax” a medical concoction and the other “electric heels,” a cure for arthritis. Jacob and Henrietta Coxey spent their last years in Massillon. He lived long enough to see the New Deal jobs programs, declining interest rates, and the development of the U.S. highway system. He was even called in by Franklin D. Roosevelt to discuss the unemployment problem. They also discussed the WPA, which had ideas from Coxey’s 1894 plan but was largely expanded. He finally gave the speech he intended for the 1894 March, at the Capitol, in the 1950s. Jacob Coxey is often referred to as “General” because of his leading “Coxey’s Army” to Washington D.C. as the first march on the capitol. He died in 1951 at the age of 97. The museum houses a large collection of photographs from the life of Jacob Coxey and documenting the 1894 March and a collection of his family documents. For more information contact Archivist Mandy Altimus Stahl over the phone: 330-833-4061, or via email. Wendell Edwards talks about Jacob Coxey, his march, inventions, and his rivalry with Judge Arthur Kaley. McMurray, Donald Le Crone. Coxey’s Army: A Study of the Industrial Movement of 1894. Seattle: University of Washington Press. 1968. Schwantes, Carlos A. Coxey’s Army: An American Odyssey. Lincoln: University of Nebraska Press. 1985. Barber, Lucy. Marching on Washington: The Forging of an American Political Tradition, University of California Press, 2004.